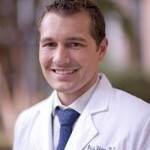 Home » Testimonies » Phillip Whiting, M.D. I love the gospel of Jesus Christ, and when I speak of the gospel I speak of His atonement for all mankind. 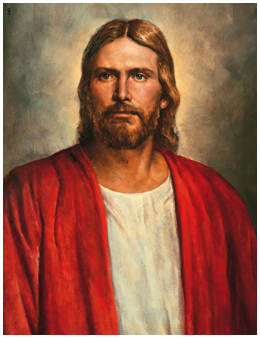 I am thankful everyday for the mercy and glory of our Savior and that because of Him I have the opportunity to return to live with him someday. I am a member of The Church of Jesus Christ of Latter-day Saints because I believe that it contains a fullness of the gospel of Christ complete with prophets, revelation, baptism, the gift of the holy ghost, priesthood authority, eternal families and marriage, temples, the Book of Mormon, the Bible, and an understanding of the true nature and character of God. It is the knowledge gained through this church that has brought happiness and joy to me and my family. The brief time I have been a doctor I have felt an even greater love of my Savior as I witness the daily miracles that he provides for His children. I see people from all walks of life turn their faith to Him in prayer before surgery, and I see the miraculous way that our bodies have been designed to heal themselves. Only a loving God with infinite abilities could do all that. I know that Jesus is the Son of God and that He died for all of our sins. I know that the Book of Mormon is another of the many ways that God shows His love to us, and through study of the Book of Mormon a person can grow closer to Him and gain a greater testimony of Jesus Christ. I have found happiness and increased faith in my Savior through my membership in The Church of Jesus Christ of Latter-day Saints and I know any person who honestly seeks for truth can find it by prayer and faithful study of the Book of Mormon. 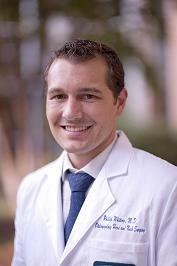 Phillip Whiting, M.D. graduated with a degree in Physiology and Developmental Biology from Brigham Young University, then finished his medical school training at The University of Texas School of Medicine in San Antonio, earning Alpha Omega Alpha and Gold Humanism Honors. He is currently completing residency training for Otolaryngology Head and Neck Surgery at Eastern Virginia Medical School.